An extra press switch allows you to either forward or reversely base on your purposes. 15 torque adjustment to meet the needs of different situations of torque. Bright LED light enables high performance in low-light settings. Stepless speed switch with positive and negative switch. Self-locking quick change chuck. With one hand, drills and other accessories can be easily replaced. Over-current protection, over-voltage protection, over-temperature protection, charge and discharge protection. 10mm Keyless Chuck: 10mm Keyless Chuck for Quick and Easy Bit Changing, ensures high concentricity and available for all kinds of drill/driver bits. The flexible shaft could be used in some places which a drill head can not work. 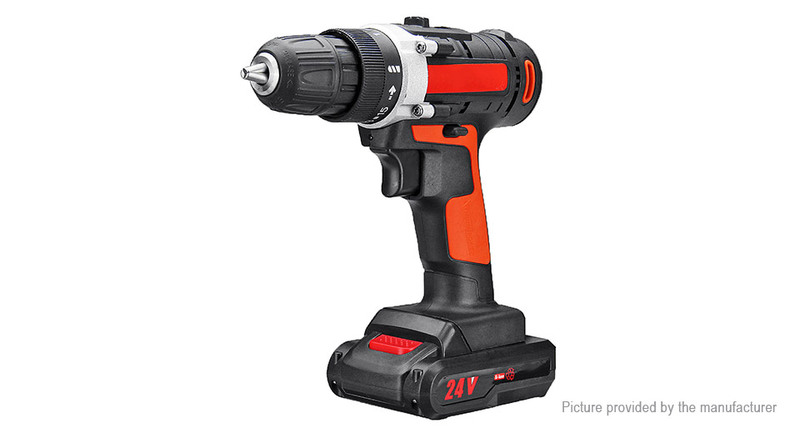 2 Adjustable Speed & Reversible: This drill features a 2-speed setting, delivers optimal performance. With trigger that allows to control your own drilling speed which perfects for what you are setting up for. Ergonomics Design: Lightweight and small size make this drill easy to handle. Ideal for most any household jobs, such as drilling and screw driving tasks into wood, metal, plastic and more. Anti-slip soft silicone handle provides extra comfort and make it hand in tight.